So this isn't a review yet because I just wanted to share something quickly. I know you are probably sick and tired of hearing about these suckers but i wanted to share a juicy online tidbit I found! I was on the hunt for these FOREVER. I finally found a few at my CVS back home by families house on Long Island. I picked up Cupcake and Tutti Frutti, they weren't my first choice but I love them so much. Cupcake is HG material for me, perfect baby pink! 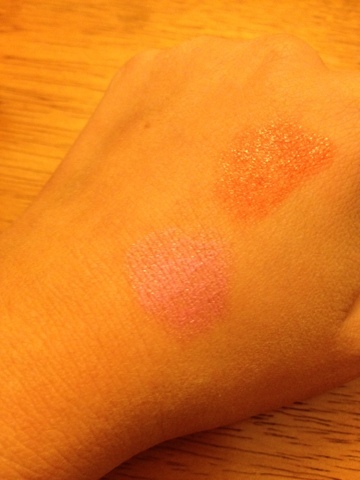 You can see quick swatches on my hand below and cupcake on my lips. Naturally, I went on the hunt for more. They are non-existent in NYC. Anyway, lo and behold, you can order them on www.CVS.com. I don't know why no one has spoken about this yet! Go order! Hurry! That was the juicy tidbit, by the way. I just placed my order for Sugar Frosting, Creamsicle and Gumdrop. Do any of you have? Do you love/hate? I can't wait for there release in the UK on the 14th of March!! I love them!! I own 5 so far! I will have to get more of them soon! 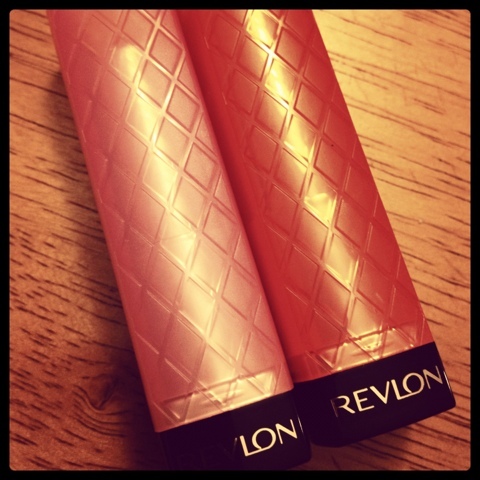 Love baby pink lips....I cannot wait for these to come to the UK!!! I'm on my second Candy Apple. It's become my go-to red. i LOVE the colour on your lips!! I have Creamsicle and Creme Brulee and I love them both...I want to pick up a couple more..